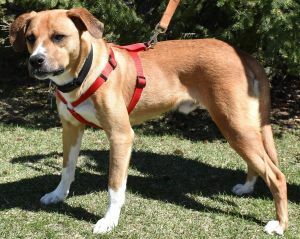 Waylon is a one to two year old lab/cur mix who came to us from a shelter where he was scared in the environment. He is doing great in a foster home. Waylon weighs 50lbs and loves people. He can be shy at first, but warms up quickly. He loves to snuggle and nuzzle you for attention. His housetraining seems to be pretty good, although all dogs need a refresher course and could have accidents when moving to a new house and routine. Waylon is great with other dogs and would love to have a confident and playful friend in his new home. 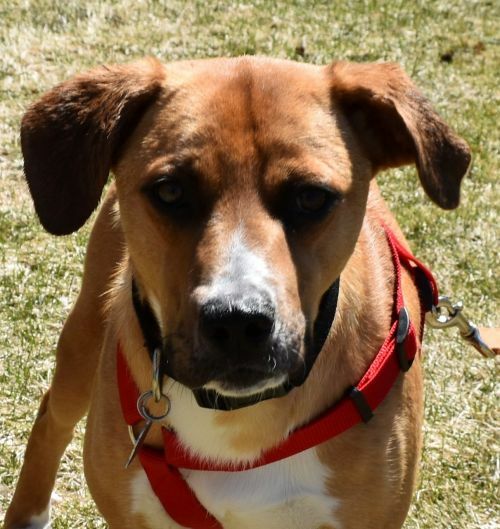 Waylon would do best with kids age 8 and up who are used to being around dogs.